Engineering can be one of your child’s talents. We need to think of “engineering” as a verb, not a noun – something we do, not just the name of a certain job or career. Engineering is a way of thinking that applies to all activities and careers. Even if your child is playing the guitar, cooking an omelet, or playing baseball, she can be doing engineering if she is problem solving and using mathematics. That is what is at the heart of engineering – when you think of it as a verb or something you do. Musicians “engineer” their musical arrangements. Cooks engineer their recipes. And, an athlete “engineers” a game plan and her body’s performance. Darling Daughter: Legos! – engineering tools – as are many other children’s toys. At age two, Ezzy would “engineer” food cans from the pantry into towering towers in the center of my kitchen floor (making them towers of death in my mind <g>). We very quickly bought those giant cardboard building blocks to save the lives of those walking through our kitchen. LOL! Exactly. This is why we need to encourage mathematical thinking and problem solving as early and as often as possible for your little “engineers.” Remember that an artist is doing engineering of sorts. So are psychologists. Combining different ways of thinking – mathematical, scientific, social, and creative – is the key to your child’s success in life and in a career. In Miss Greer’s class in IGGY PECK, ARCHITECT, “… architecture … had no place in grade two.” This is WRONG! Whatever a child’s interests are – they should have a place in grade two and every other grade in school. If your child is having trouble performing well in school or is causing trouble in school or is just plain not happy at school – consider whether he is bored and whether his talents and interests are being ignored. Many difficult children in school are actually gifted children who are bored. Ugh! I hope some school professionals are reading this blog. And, I hope they will try to make their co-workers at school understand how important it is to make classes mean something for each child. The best way to learn to read is to read about something you are interested in. Does your school have children reading the same thing all the time – or is there opportunity for each child to read his own thing? I have seen many a child’s love of learning unlocked by simply making his lessons each day mean something to him – making them be about the things that interest him. All things have math in them – sports, cooking, building things, music. All things have science in them – machines, bicycles, cars, the human body. Everything in a child’s world can be used to teach the 3 R’s (reading, writing, and ‘rithmetic). We need to make those connections at home and for sure in classrooms. The teacher’s problem in IGGY PECK, ARCHITECT was really about her bad experience in a tall building when she was young. It was what I call one of her “hot buttons.” We all have hot buttons – parents and teachers alike. It’s amazing how kids have radar and find those “hot buttons” so quickly. I found what helps me is to take a step back, take five, count to ten, whatever you like to call it. I just try to take a breath and think before I react. Thinking seems to unplug the button so I can move forward without so much fear or anger. We all need to examine those buttons so we can turn them off and not let them affect what opportunities we provide our children and our students. We can’t ever make them completely go away – and don’t want to. They make us who we are. They tell us things we need to know. But, when necessary we can keep them silent if we are very clear about what they are and what they look like and sound like. 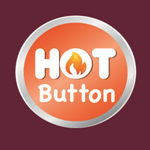 First, remember that we all have hot buttons. You are not alone. They don’t have to mean you will be a terrible parent. The important thing is to know what they are and not let them make you take a detour off the highway to good parenting. Face your hot buttons head on. Deal with them with purpose. Don’t let your “automatic” responses of anger, avoidance, or giving in take over. You can learn how to handle the child behaviors that give you special trouble. You can read (for example, www.picturebookparenting.com). You can talk with other adults you trust about how they handle or did handle those behaviors. Be confident that when you face behaviors that are difficult for you, they will pass. Most likely, child behaviors that you enjoy are right around the corner as your child grows and matures into his next stage. I clearly remember that just when I thought I couldn’t take one more temper tantrum or one more testing of the rules, that behavior disappeared or lightened up – seemed like overnight. I used to think Darling Daughter or Lovely Lil Sis somehow knew that I was about to resign motherhood, so they shaped up as fast as they could. This entry was posted in Developmental Stages, Feelings and tagged career awareness, gifted, who I am. Bookmark the permalink.